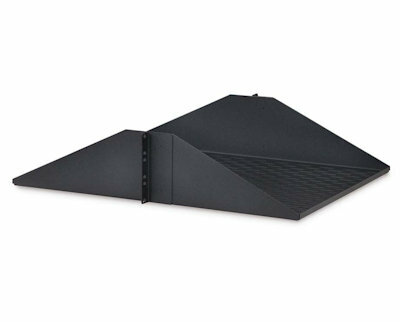 The Kendall Howard Vented Centerline Shelf is one of the strongest, most stable shelves on the market. Unlike most center mount shelves which may teeter, the Kendall Howard Centerline shelf is rock solid! The heavy gauge steel construction and welded mounting flanges give this shelf unprecedented stability and strength. 19" EIA mounting flanges easily mount to any 19" 2-post relay rack with rack screws and cage nuts. 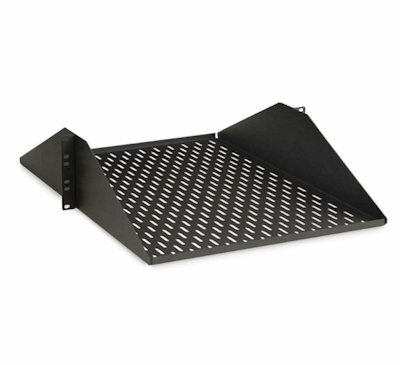 This 24" center mount shelf can support up to 350 lbs., perfect for heavy equipment such as CPU's, servers, battery backups, UPS's, and more. It may be a small detail, but at Kendall Howard we think it's important. 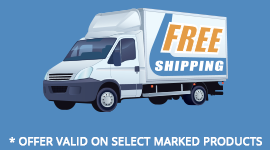 It is for that reason that all corners and edges of the Centerline Shelf are rounded for safe handling.